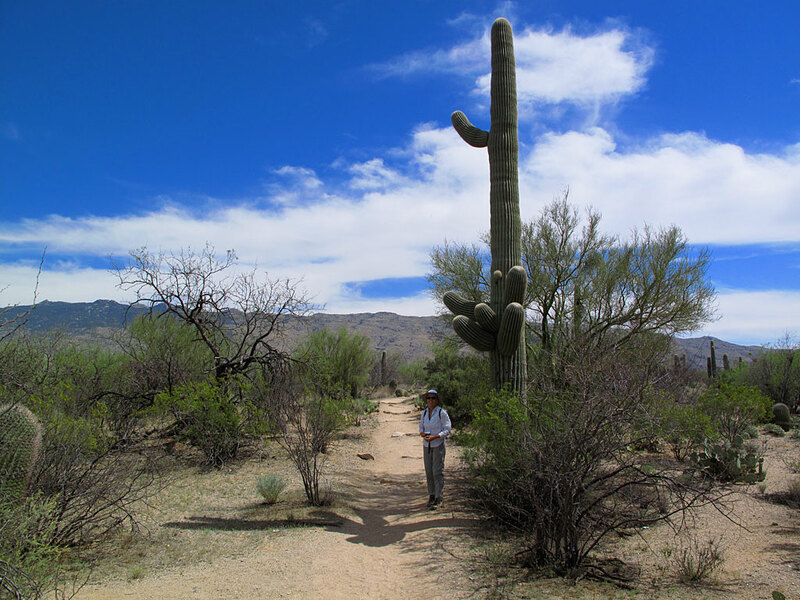 Carol and I were lucky enough to spend a few days hiking and wandering around Saguaro National Park, a park bisected by Tucson. The weather was great, but it was later in the season, so most of the tourists and snowbirds had retreated. 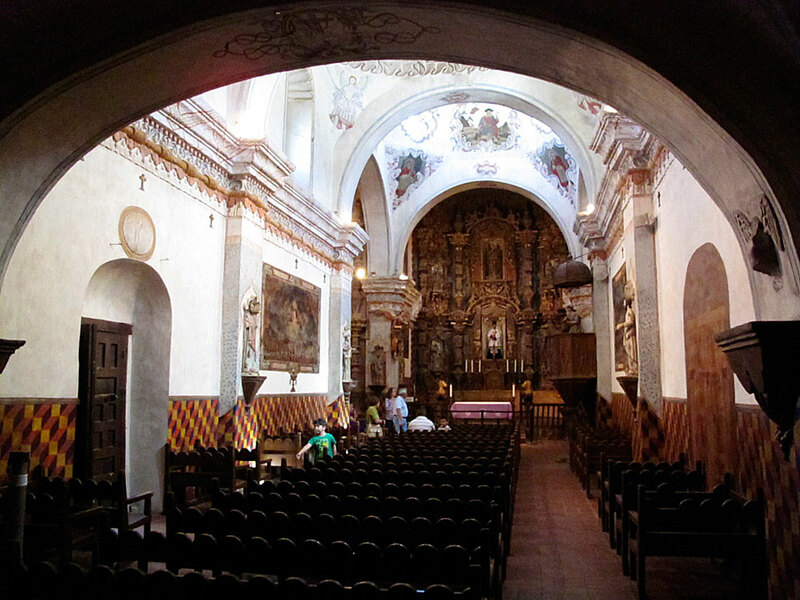 After exploring the park, we headed south and visited the Mission San Xavier del Bac, an old Spanish Catholic mission built in 1699. 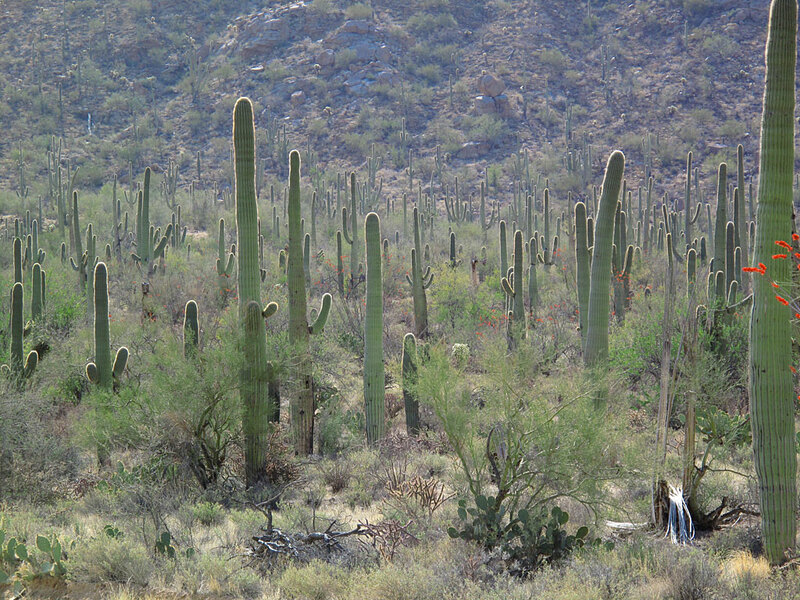 Morning sun backlights a stand of saguaros on the west side of Saguaro NP. 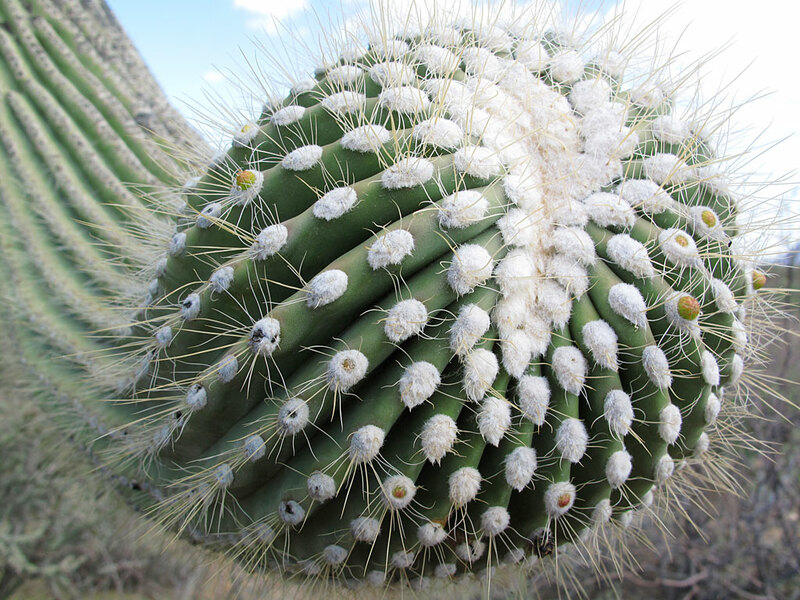 The growing, happy tip of a saguaro branch. 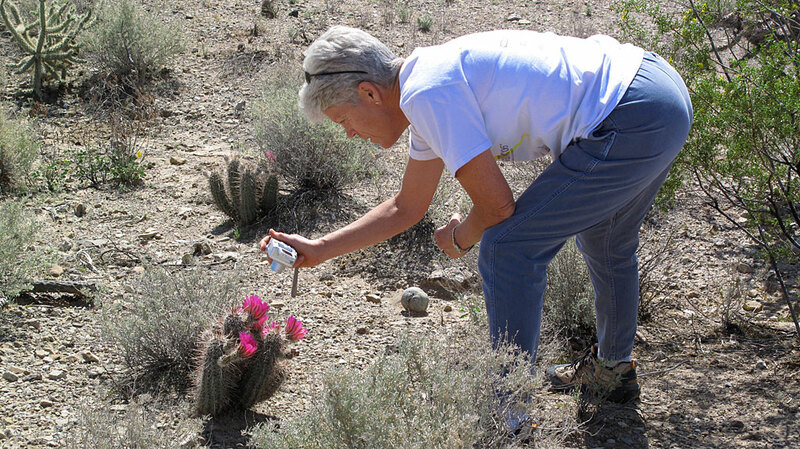 Admiring the colorful spring bloom of a hedgehog Cactus. 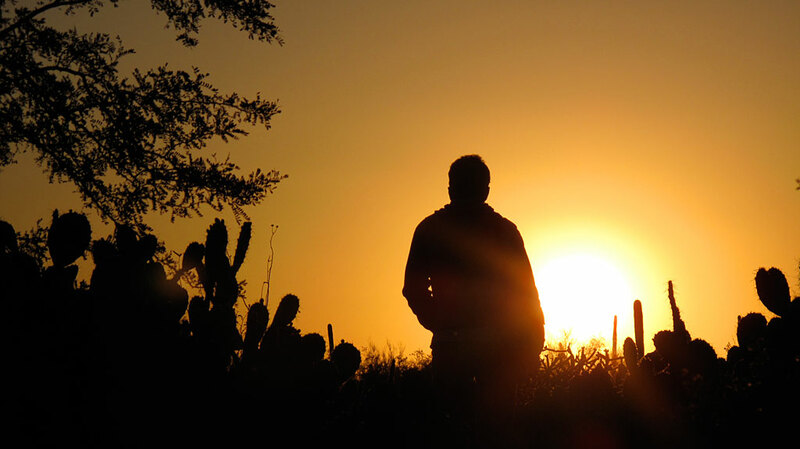 Hiking to Wasson Peak, the highest point in the Tucson Mountain Park. 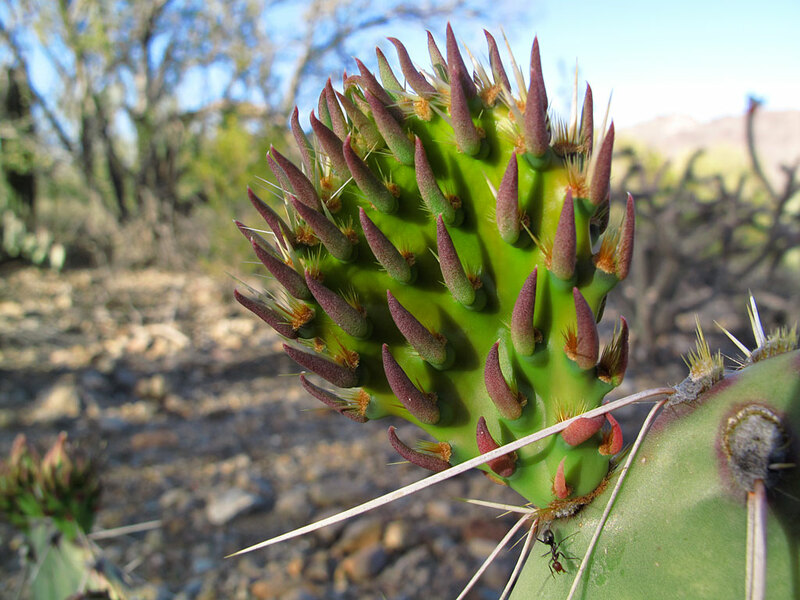 A young pad forming on a prickly pear cactus. 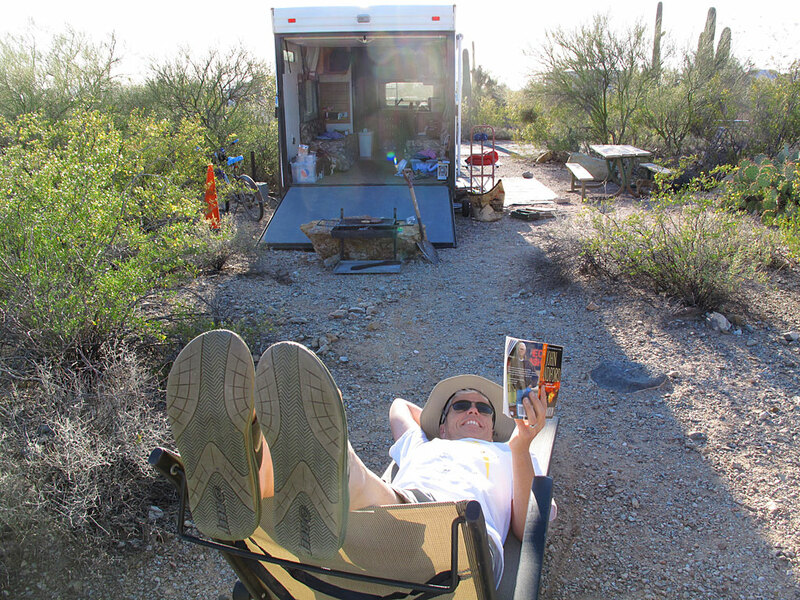 Relaxing at end-of-day, back at campsite. 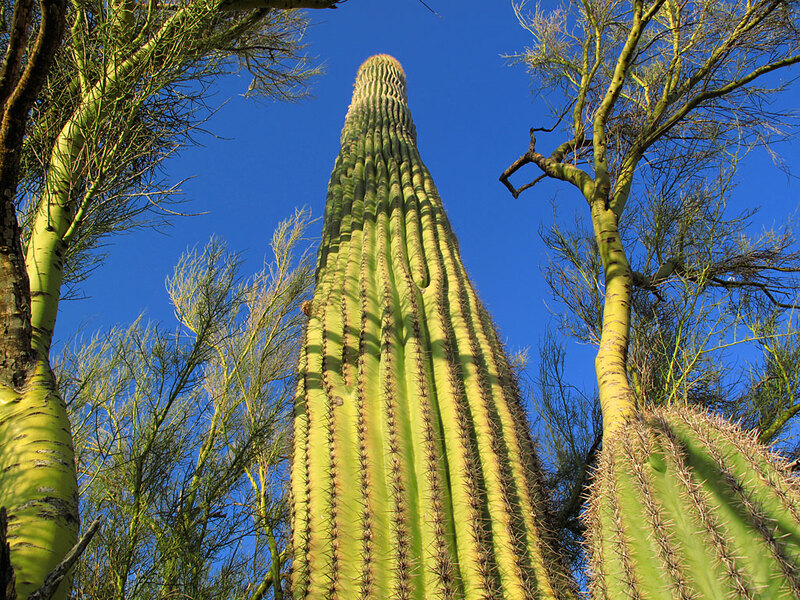 A mature saguaro grows between its two nurse plants, a couple palo verdes. The subtle interplay of light and shadow. 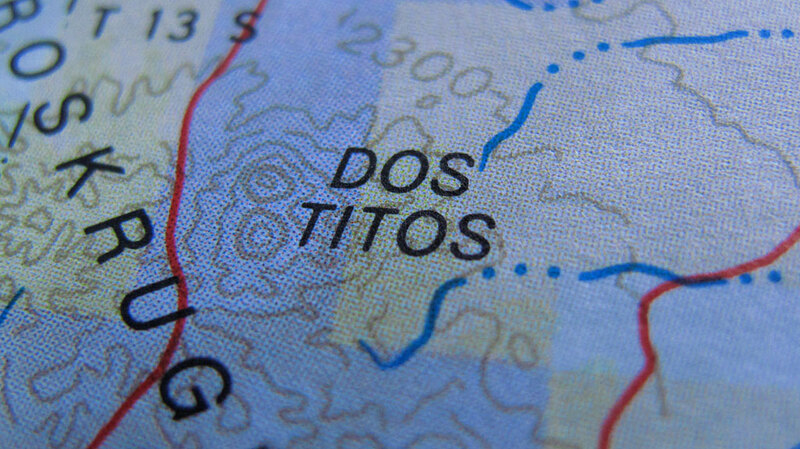 ¿Dónde están Dos Titos? Dos Titos están aquí. Sé que uno Tito. 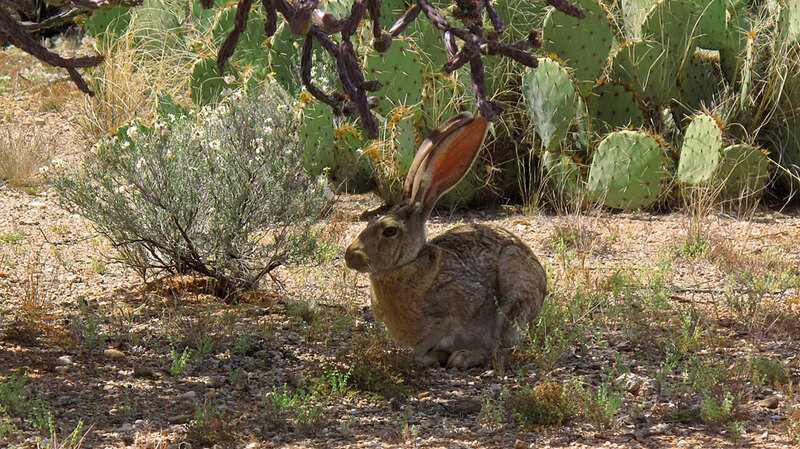 A jackrabbit hunkers in the shade of a cholla cactus. 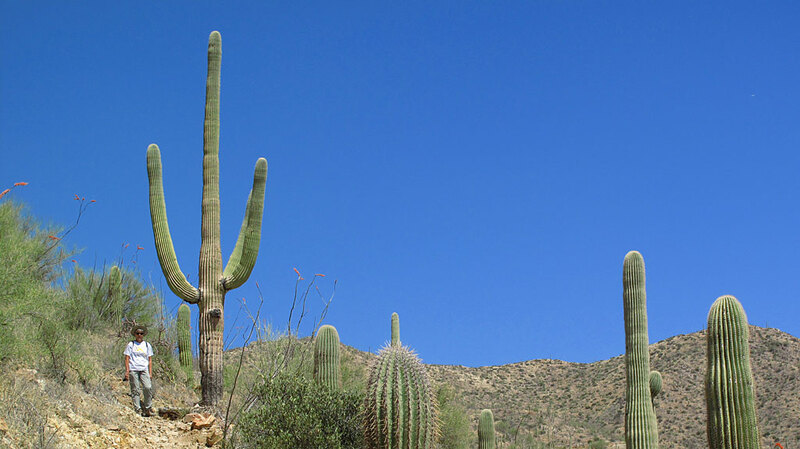 Hiking in the east side of Saguaro NP. 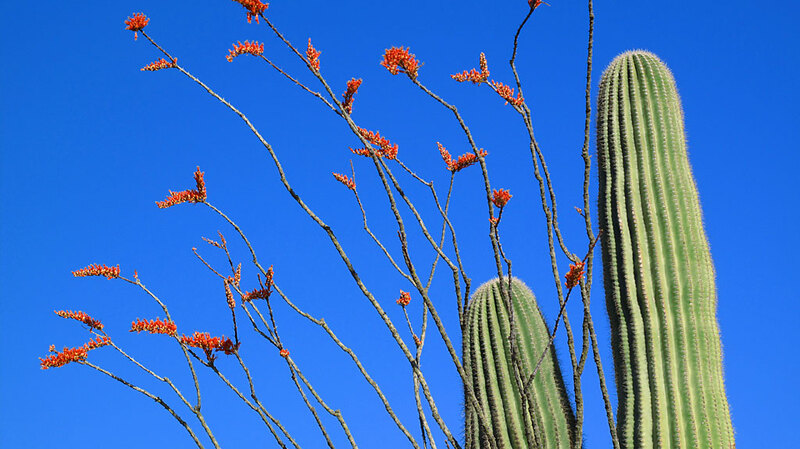 Red blooms of an ocotillo. 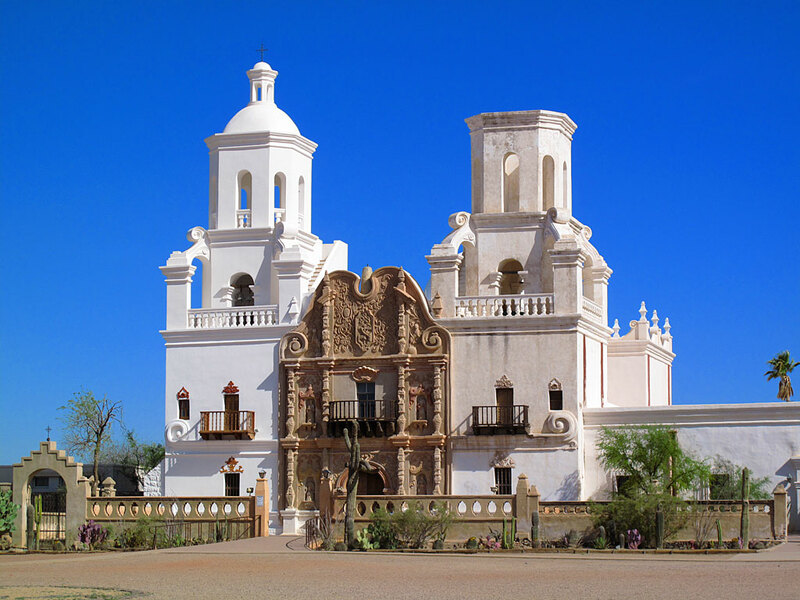 After leaving Saguaro, we headed south to visit Mission San Xavier. Among the many legends surrounding the building is a popular myth suggesting that early taxation laws exempted buildings under construction, so the builders chose to leave one dome unfinished. Another legend is that the second tower is being left unfinished until the “Excellent Builder” will come to direct its completion. 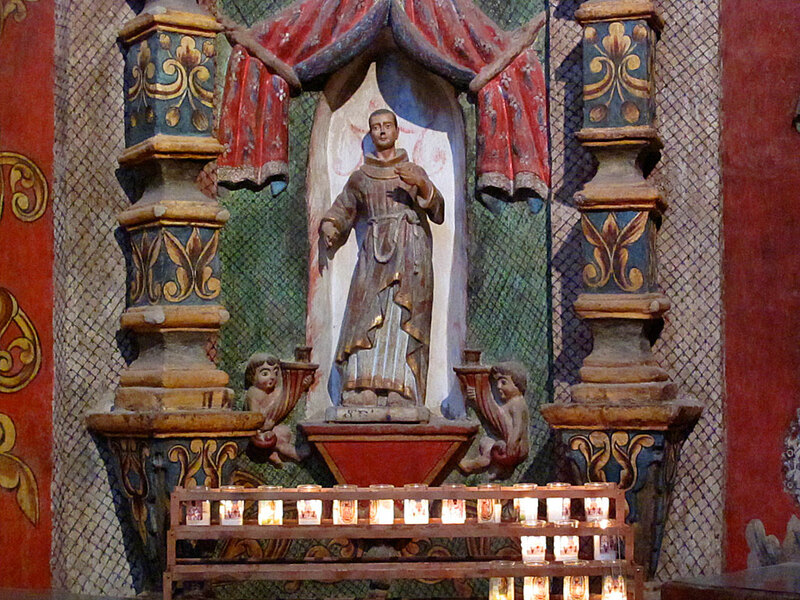 Inside the Mission, looking toward the alter. The Mission is still used for church services. Catholic stuff with a few candles. 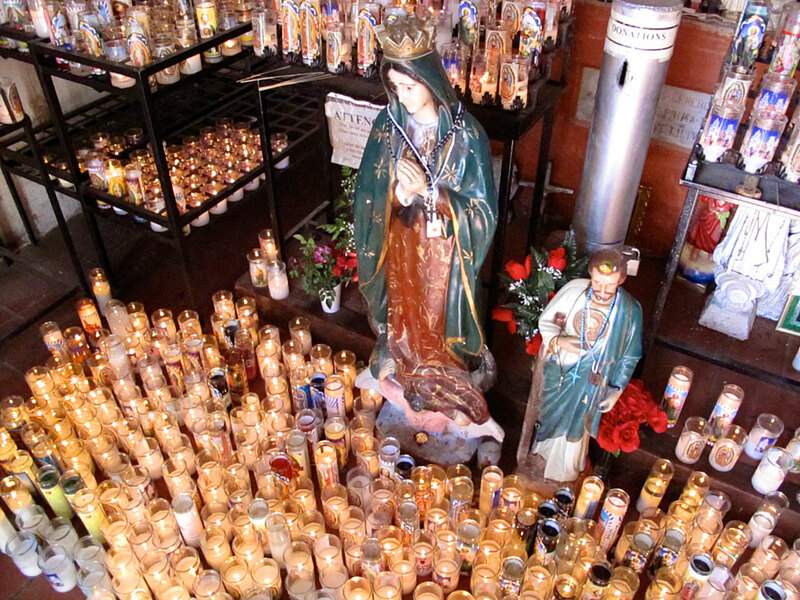 Catholic stuff with even more candles. So many candles in fact, that the room was very warm. 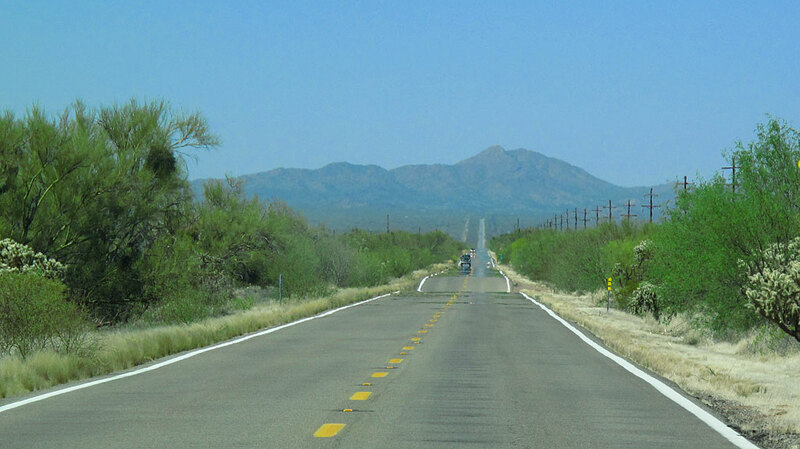 Globe Trekker extra photo: Highway 86 headed west toward Ajo.